The Cornell Amateur Radio Club (CARC), W2CXM, is a group of undergraduates, graduates, and other members of the Cornell and Ithaca community whose common interest is the hobby of amateur radio. Amateur radio activity at Cornell University dates as far back as 1915, under the callsign “8XU.” Formed in 1949, the CARC has been licensed under the callsign “W2CXM” since 1951. The CARC is affiliated with the American Radio Relay League and is funded annually by the Student Activities Finance Commission. Cornell's radio club has a complete station available for use by its members 24 hours a day. 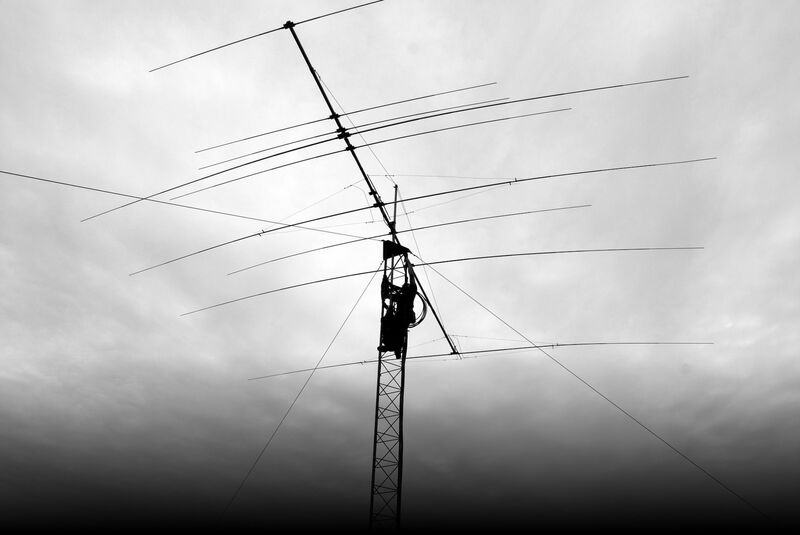 Our capabilities include SSB (voice) Digital (RTTY,PSK,APRS,ETC..) , and CW (Morse code) communication of HF (1.8 - 30 MHz) and FM, SSB, and CW on 2 meters (144 - 148 MHz) as well as equipment for short-wave listening. The club has a 2 meter repeater operating on 146.610 MHz to aid in providing reliable local communications. W2CXM has had successful two-way communication with radio amateurs in well over 250 countries around the world including such places as Uganda, Mongolia, Antarctica, Qatar, Nepal, and Ghana. The club participates in amateur radio competitions for sport and emergency preparedness, both national and international, which test the operating skills of the competitors and the performance of equipment. The CARC also uses its equipment to provide a number of public services. During natural disasters, members have aided in handling messages to and from afflicted areas. The club has also provided “phone patches” allowing national or international communications using only a local phone call for a student and his or her family. Locally, club members can assist in communications during emergencies, walkathons, races, etc., using our 2 meter repeater. All public services of the CARC are voluntary and free of charge. Weekly meetings for the Fall 2018 semester are on Fridays at 5:00pm alternating between 708 Rhodes Hall, and the shack in 401 Barton. When coming to the meetings at Rhodes, please note, the elevator does not go to the 7th floor after 5pm. You will need to take the elevator to the 6th floor, then turn left and go to the end of the hall. Take the north stairs to the 7th floor. We'll block the door open for meetings. Minutes and photographs from these meetings are available here. We will also be having a few mini “Field Day” events on campus, setting up portable radios and making contacts. Membership in the Cornell Amateur Radio Club is open to students, staff and faculty with amateur radio licenses. If you don't have a license, come out to our meetings and we'll set you on the right track to get one and join in all the activities. Even if you don't have a license, we encourage you to come to meetings and take part in activities! The club has a mailing list that is used by members for club announcements and club related traffic. To subscribe to this list, send a message to hamradio-l-request@cornell.edu with “join” on a single line in the body of the message. For more information on e-lists at Cornell, see CIT's instructions.